Quickly calculate customer rebates using the Rebates Pivot Table utility. Setup the rebate percentages based on customer, customer and product class and whether the rebates apply to overall sales or sales over and above nominated customer targets. 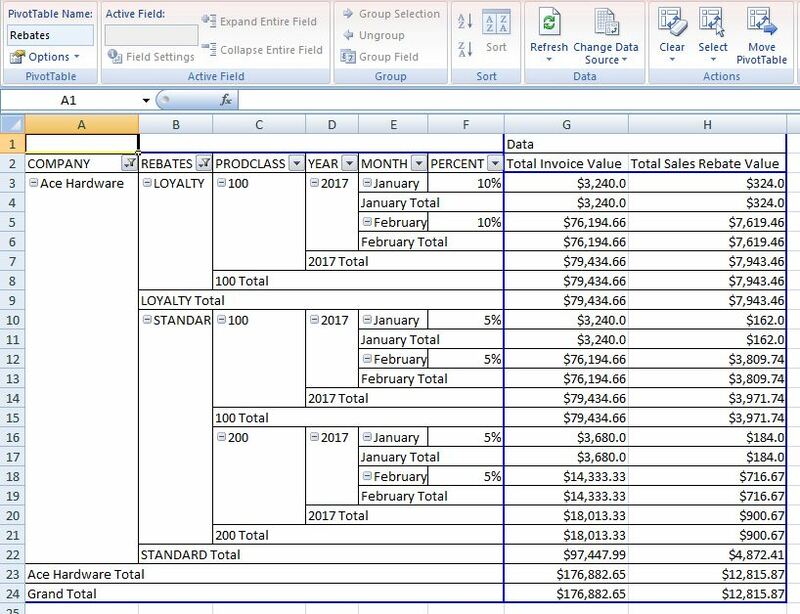 The Rebates Pivot Table utility allows the rebate values to be broken down into month and year and rebate codes using the power of Excel Pivot tables. Multiple rebates can be applied to the sales values to derive multiple rebate values.